Papua New Guinea will see an increase in cruise tourism next year, as cruise companies and passengers seek more exotic ports of call. 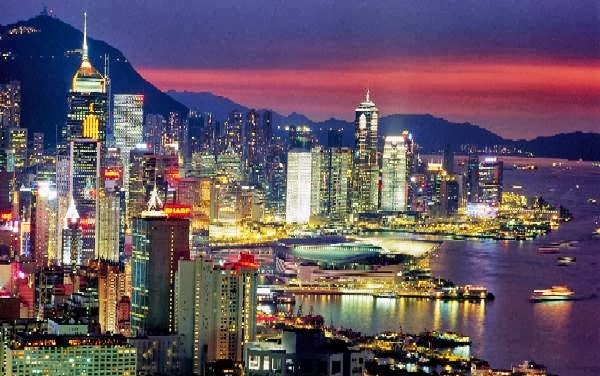 The country will feature in two dedicated P&O Cruises itineraries, both on the Pacific Dawn. 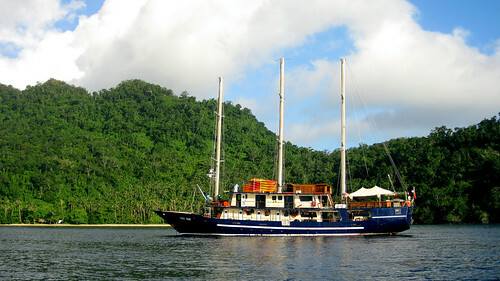 The 10- and 14-night voyages from Brisbane will take in Papuan destinations including Kitava Island and Milne Bay. A non-governmental think tank is calling for a rigorous code of conduct for cruise ships and private boats which enter Canadian Arctic waters.The Clipper Adventurer cruise ship is shown in this Canadian Coast Guard handout from Aug. 29, 2010. Cruise ship passengers were stranded in the Arctic for almost two days when the ship hit a rock shelf. Passengers were later rescued by the Canadian Coast Guard. The Centre for International Governance Innovation has released a policy report based on discussions held with various groups in Iqaluit in May. John Higginbotham, a senior fellow with the centre, said more needs to be done to ensure cruise ships are carefully monitored. "In terms of crew training, in terms of sensitivity to aboriginal cultures, in terms of providing benefits for the small communities in the Arctic that they may call upon when they are traveling among the islands," he said. Higginbotham also said there needs to be better planning for cruise tourism in the north to make sure fragile areas are protected. He also said facilities are needed to deal with emergencies such as oil spills or cruise ship accidents. 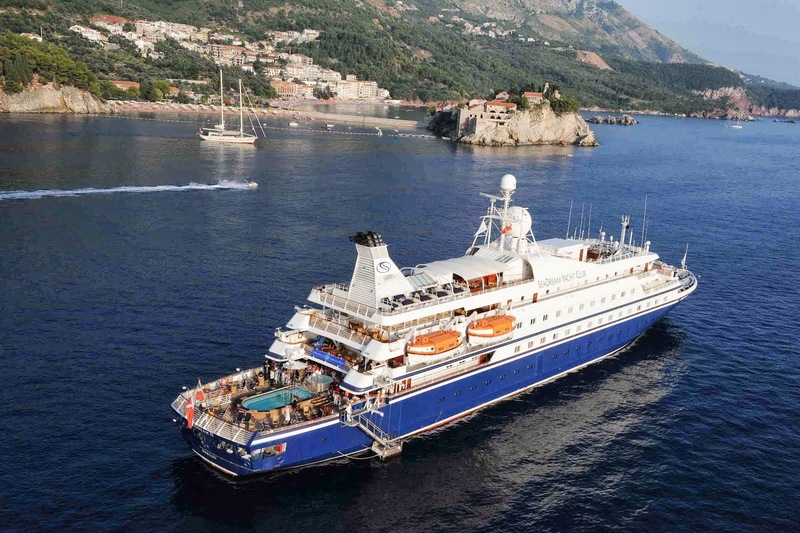 The active travel company securing matches between adventure-seeking clients and a treasure trove of small expedition ships, AdventureSmith Explorations http://www.adventuresmithexplorations.com/, flags the 2013 Holiday Season with active cruises from the Antarctic Peninsula to Panama. While festivities aboard vessel will differ, guests will enjoy special seasonal events and celebrations aboard intimate ships ranging in capacity from 36 to 189 people. “While our small-ship destinations in and of themselves are reason enough for celebration, guests will doubtless toast the season while sharing the day’s snorkeling thrills or on-ice escapades,” says Todd Smith, AdventureSmith Explorations founder / owner. He noted that trips just before and right after the holiday season come with “terrific discounts” and better availability (Smith recommends making your holiday season cruise bookings now). Unlike most larger mega ships that often charge extra for shore excursions, guests on small expedition ships enjoy multi-activity programs on land at no extra charge. Founded in 2003, AdventureSmith Explorations is based in Tahoe City, CA, along the northern shore of Lake Tahoe. In 2012, owner Todd Smith joined the ranks of Conde Nast Traveler's prestigious 14th Annual Travel Specialists List as the world’s expert on small ship expeditions. For information, availability and 2013 reservations Phone: 800-728-2875 toll-free, visit http://www.adventuresmithexplorations.com/ or Email: travel@AdventureSmithExplorations.com. Bentours, Australias specialist in travel to Scandinavia, is offering a specially discounted eight day Realm of the Polar Bear cruise along Norways remote iceberg-lined island of Spitsbergen. 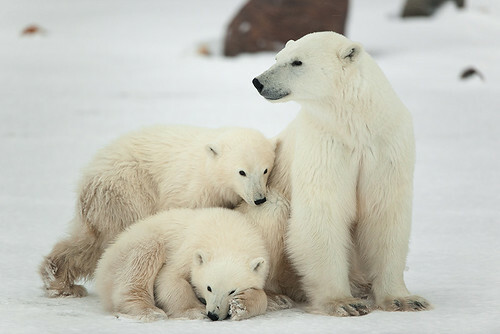 Travellers who book Bentours unforgettable all-inclusive Realm of the Polar Bear cruise before 31 August, 2013 can save 15% on 2014 selected departures. Packages start from AUD $5,227 per person twin share for a category three cabin on board the MS Expedition and includes seven nights accommodation and meals. Departing from Longyearbyen in Norway, this package takes guests on a fascinating arctic exploration on board the MS Expedition, to explore Spitsbergens remote Polar Regions and sail through a world where seals lounge, reindeer graze and teeming bird colonies take over the skies. Spitsbergen, the largest island of the Svalbard archipelago in Norway, has a rugged coastline of breathtaking ice-covered fjords and glaciers with jagged peaks that loom overhead. Highlights of the trip include visiting historical mining towns, experiencing the Midnight Sun and a chance to see large ice floes. Guests will also receive their very own Arctic destination guide book to take home. Seabourn is offering guests the chance to enjoy the ultimate white Christmas with one of the cruise line's first Antarctica sailings scheduled to visit the "white continent" on Christmas Day. 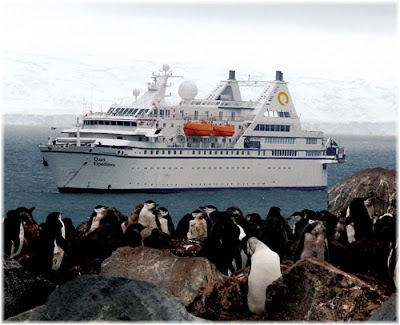 The ultra-luxury cruise line will begin sailing to Antarctica later this year with Seabourn Quest offering four cruises to Patagonia and Antarctica between November 2013 and February 2014. Departing Valparaiso in Chile on December 11, 2013, guests will wake up to the splendours of Antarctica on Christmas morning, in the midst of five days of cruising and landings on the Antarctic Continent and islands over the festive period. The 24-day cruise also includes days exploring the Chilean coast and fjords, Beagle Channel, Glacier Alley, the breathtaking Torres del Paine National Park, Cape Horn, Montevideo and a rare visit to the sub-Antarctic wildlife Eden of South Georgia Island, renowned for its teeming rookeries of king penguins as well as breeding elephant and fur seals. Fares start from $14,999* per person double occupancy. As it celebrates its 25th year, Compagnie du Ponant, the French cruise line and five-star expedition specialist, has commissioned a new yacht from the Italian Fincantieri shipyard. Due to launch in 2015, this latest vessel joins a fleet of four mega yachts all flying the French flag: Le Ponant (32 staterooms), Le Boréal, L'Austral and Le Soléal (132 staterooms and suites). She will be cruising the shores of Alaska from May to September and those of Australia and New Zealand during summer down under . Like her sister ships, Le Boréal (2010), L'Austral (2011) and Le Soléal (inaugurated on 29 June this year in Venice), the vessel will qualify for the "Cleanship" label and embody the concept of Yacht Cruises as conceived by Compagnie du Ponant; namely, a carefully thought-out design, attentive service and gourmet cuisine enhanced by the comfort of state-of-the-art facilities. This latest commission sends out a strong positive signal, further confirmation of the relevance of Compagnie du Ponant's investment and international development strategy, positioning the cruise line at the exclusive end of the market. Compagnie du Ponant is the leader in the French-speaking luxury cruise markets (France, Switzerland and Belgium) and worldwide number one in polar cruising. "Specifically tailored to what our passengers seek, these mega yachts with their innovative design allow us to explore exceptional destinations in the most extreme regions, while enjoying a level of comfort that is second-to-none," says Véronique Saadé, Deputy Executive Vice President of Compagnie du Ponant. After the excellent work achieved on the previous three yachts, the Fincantieri shipyard has been entrusted with building this fourth sister ship. French interior architect Jean-Philippe Nuel will be responsible for the sleek, modern and sophisticated design that has contributed so much to the success of Le Boréal, L'Austral and Le Soléal. Says Michelle Taylor, General Manager Sales and Marketing of Travel the World, "Compagnie du Ponant is one of the most exciting offers in the cruise market and very in tune with the new Australian cruise customer. Travel the World is delighted with the news of a new yacht, especially one that is scheduled for Australian waters." Aurora Expeditions are set to shake up the traditional Antarctic cruise itinerary with the launch of an exciting new 'Antarctic Gateway' in their 2014/15 Antarctic program. The Chilean port and nature haven of Puerto Williams will be used as an alternative to the usual Argentinian port of Ushuaia, with voyages either starting or ending on the eco-rich Navarino Island along the Chilean banks of the Beagle Channel. The introduction of Puerto Williams to the company's itineraries also brings with it a great new landing site, with an opportunity to explore part of the UNESCO Cape Horn Biosphere Reserve, which hosts the world's southernmost forested ecosystems and culture (the Yaghans) as well as protecting five per cent of the world's bryophyte diversity (mosses and liverworts). As an added bonus, all itineraries that start or end in Puerto Williams will include in the voyage fare a tour of the port town and its surrounding natural attractions, along with a scenic flight over the spectacular granite spires of the Dientes de Navarino Mountains as passengers make their way to or from Punta Arenas, Chile. A selection of itineraries will maintain the traditional Antarctic gateway of Ushuaia as a departure or arrival port, allowing passengers to experience both sides of the Beagle Channel. The popular Fly/Sail itineraries remain with with two departures including a flight between King George Island, Antarctica and Punta Arenas. Two further voyages will offer passengers the option to fly between Stanley, Falkland Islands and Santiago OR Punta Arenas. All Fly/Sail departures will start and end in Chile, allowing passengers to benefit from just one return international airfare to Punta Arenas. Aurora Expeditions group size of 54 remains one of the smallest in the region, and their team of experts collectively bring over 150 years of Antarctic expedition travel experience to provide passengers with a unique and personal adventure. For the more adventurous there are a range of activities on offer, such as scuba diving, kayaking, photography, camping and ice climbing. Prices for the 2014/15 Antarctic season start from US$7,100 per person based on a triple cabin for a 10 day cruise plus one night's accommodation in Punta Arenas. Bookings made before 31 August 2013 will receive a 5% early bird offer. Valid on the first 15 bookings on each voyage only and not valid in conjunction with any other offer. Visit www.auroraexpeditions.com.au to view the 2014/15 program online or to download a brochure or call our Expedition Experts on +61 2 9252 1033 or freecall within Australia 1800 637 688. *All voyages that start or conclude in Puerto Williams will include a town and surrounds tour and a flight between Punta Arenas and Puerto Williams (or vice versa) in the voyage fare. Aurora Expeditions is excited to announce our great new line-up of voyages for the 2014/15 Antarctic season. A brand new highlight is the addition of Chile’s 'Antarctic Gateway', Puerto Williams. Nestled under the Dientes de Navarino mountains on the Chilean side of the Beagle Channel, the town and surrounding ecosystem is renowned for its great biodiversity. This year we have also added an additional South Georgia departure totalling five voyages to the wildlife oasis. Four shorter itineraries will take in the delights of the spectacular Antarctic Peninsula. Fly/Sail options are also available, cutting out one sea crossing and making the most of our in Antarctica! Expeditioners on the Spirit of Enderby are set to benefit from Author Jennifer Niven's knowledge of the doomed Karluk expedition when she joins a special Heritage Expeditions commemorative voyage in August 2014. 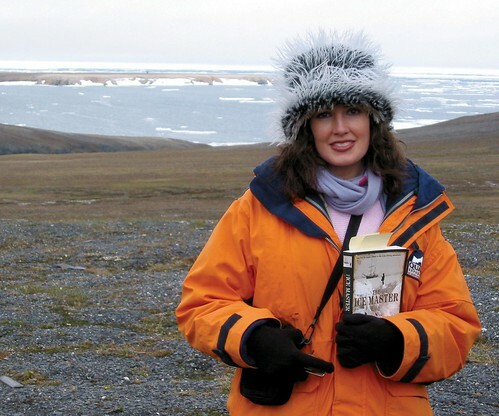 Niven's book 'The Ice Master' traces the events of the Karluk and as Guest Speaker she will enhance the voyage to remote Wrangel Island - the location where Karluk survivors were rescued 100 years previously. The 1913/14 Karluk expedition is a true story of hardship and loss. During an age in which there were still unexplored regions of the globe, the intention was to explore the "white patches on our map, lying between Alaska and the North Pole". Without wishing to simplify an incredible story, pack ice destroyed the ship leaving the remaining souls to live on the ice floes. After an arduous trek across sea ice, some made landfall on isolated Wrangel Island. Of 24 who began the expedition, 13 survived. It is difficult to fathom the courage needed to survive in a hostile environment with human nature at its most raw. The survivors were finally rescued in September 1914. The events surrounding the Karluk were in danger of being lost to time until Niven stumbled upon the story. Following years of meticulous research gleaned from shipmate's diaries, archives and an interview with a survivor, she faithfully retells the epic story set in the Arctic. Niven is undeniably the doyen of the Karluk expedition and will share her wisdom with expeditioners onboard the Spirit of Enderby. This is a unique opportunity to explore an Arctic island with an intriguing human history accompanied by experts. Across the Top of the World (Karluk Commemorative Voyage) 8-22 August 2014 with cabin prices starting from US $9,800. Renowned marine conservationist and underwater filmmaker Valerie Taylor will be the godmother of National Geographic Orion. The christening ceremony will take place in Auckland on March 21 next year before the 100-passenger ship weighs anchor for an inaugural 21-night ‘Papua New Guinea and the islands of Vanuatu and the Solomons’ cruise to Cairns which Taylor will accompany. A WHOLE 13 days from Hong Kong to Singapore aboard the world's highest-rated* boutique passenger vessel, SeaDream II is selling in March next year from US$8544pp twin-share – almost a third below the originally advertised price a year ago and including all 5-star gourmet dining, wines with lunch and dinner, drinks from the open bars, power and sail water-sports (in ports where permitted,) use of a 30-championship course golf simulator, onboard gratuities, and US$845 in port charges and taxes. The mega motor-cruiser SeaDream II that has just 56 staterooms for a maximum 112 guests served by 95 crew, departs Hong Kong on March 15 and will visit six ports in Vietnam, including an overnight in Ho Chi Minh City (formerly Saigon,) visit Tioman Island in Malaysia and have four full days for total relaxation at sea. Ports, bays and islands visited in Vietnam include Hai Phong for capital Hanoi, Halong Bay, Da Nang, Nha Trang, Ho Chi Minh and Con Dao Island. Scenic Tours has recently launched their USA program for 2014; unrivalled, five-star and all-inclusive with a fantastic new itinerary that has introduced Mississippi River Cruising. The Scenic Tours Southern Belles itinerary now includes a seven night luxury Mississippi cruise with all the atmosphere of the antebellum era, from Memphis to New Orleans. 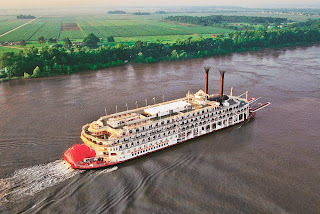 The mighty Mississippi brings the words of Mark Twain to life and guests will sail on board the grand and elegant genuine steamboat 'American Queen' enjoying modern amenities with all the historical American Victorian opulence. Scenic Tours General Manager of Product for Europe and North America, Aleisha Fittler said "Our guests love to river cruise because it's a relaxing way to discover a destination. With the need to only pack and unpack once as their floating hotel takes them to all the sights. This is feedback we have had from our Europe River Cruise guests so we decided to introduce this option to our North America program. The atmosphere of sailing on a traditional steamboat really makes the ultimate Mississippi experience." 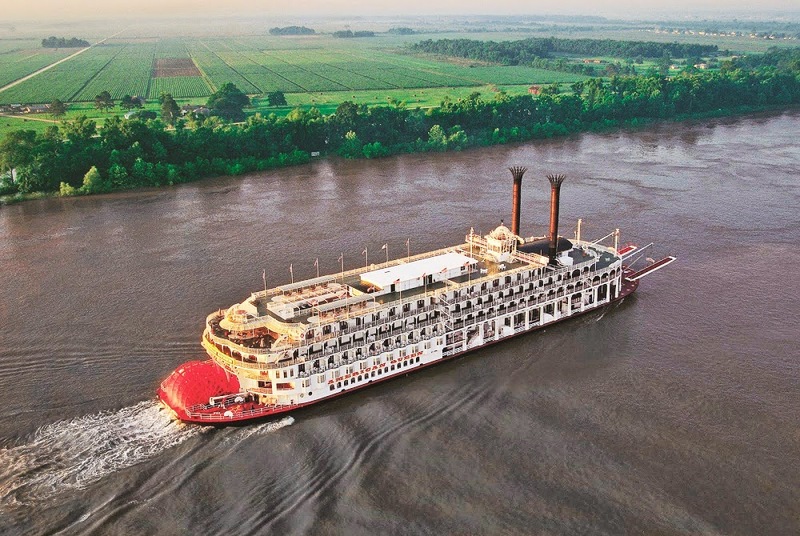 As guests cruise the Mississippi they will stop to wander through Helena's historic Cherry Street and visit Bubba's Blues Corner, discover the unique blend of old and new that is Vicksburg, the 'Red Carpet City of the South'; and experience quaint St. Francisville, located on the bluffs of the river, a window to the past. The capital of Louisiana, Baton Rouge includes a tour of the USS Kidd, a WWII Fletcher-class destroyer, the Old Governor's Mansion and the Louisiana State Museum where guests can step onto a simulated Mardi Gras float and discover the difference between Cajun and Creole, whilst a tour of Houmas House presents the southern splendor of a time when sugar barons reigned along the Great River Road. These exciting shore excursions provide an in-depth immersion into the history, culture and cuisine of America's heartland and Southern hospitality. Scenic Tours are offering some fantastic and brand new Earlybird offers for bookings made by 19 November 2013, including a three night stopover in Hawaii plus savings of $1,000 per couple. Prices on the 16 Day Southern Belles and Mississippi Cruise start from $12,535 per person twin share. Visit scenictours.com.au or call 1300 723 642. G Adventures extended the itinerary for its West Africa cruise for 2014 as a result of its popularity. 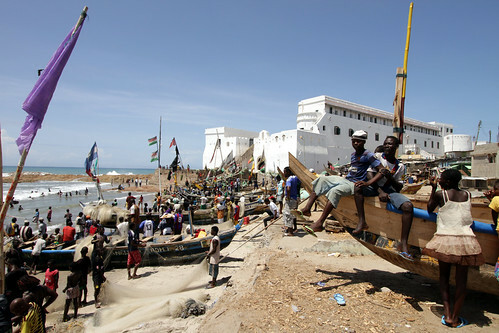 The trip travels up the west coast of Africa on the MS Expedition. It cruises for 32 days, calling in 16 ports in 14 countries, including the new ports of Dakhla in Western Sahara, Fuerteventura in the Canary Islands and Agadir (for Marrakech) in Morocco. The trip operated for the first time in April. The 2014 version of the West Africa Cruise will visit South Africa, Namibia, Angola, the Congo, Sao Tome and Principe, Benin, Togo, Ghana, Sierra Leone, Guinea-Bissau, The Gambia, Senegal, Western Sahara, the Canary Islands and Morocco. It includes opportunities to meet people in remote communities in Benin, Togo, Angola and Sierra Leone, as well as coffin-makers of Ghana and to visit Elmira Castle and Cape Coast Castle, where slaves waited to be shipped to the New World. 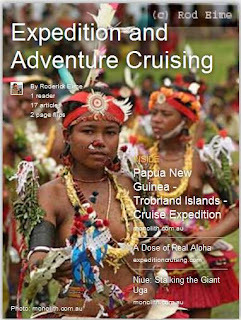 Un-Cruise Adventures new brochure of adventures departing from November 2013 through April 2015 hits travel agents’ desks starting the week of July 22, 2013. Eight vessels carrying 22-88 guests specialize in small-group adventure cruises in Alaska, Hawaiian Islands, Mexico’s Sea of Cortés, Columbia & Snake Rivers and Coastal Washington & British Columbia. The 84-page brochure, the largest yet for the company, matches a historical or notable figure to each itinerary with a short narrative tying them to the destination. Moving away from a detailed day-by-day schedule, itinerary descriptions instead tell a story of the voyage on an Active, Luxury or Heritage style of adventure. 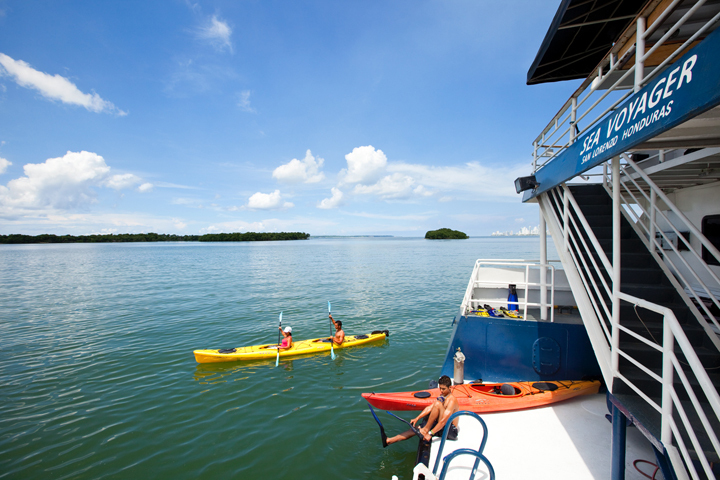 Active Adventure cruises focus on adventure activities outside such as hiking, kayaking, paddle boarding and skiff excursions. Three expedition vessels—60 -guest Wilderness Adventurer, 76-guest Wilderness Explorer and Wilderness Discoverer—sail active adventure cruises in Southeast Alaska and Coastal Washington. 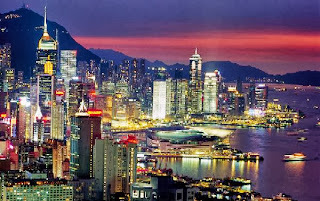 Fares start from US$1,595 per person for both destinations. Most adventure activities from the vessel are included. Port charges, taxes, bar and massage are extra. Luxury Adventure cruises combine soft adventure activities with extra amenities, shipboard comforts and more inclusions on board. Four yachts—22-guest Safari Quest, 36-guest Safari Explorer, 64-guest Safari Voyager and 86-guest Safari Endeavour—offer luxury adventure cruises in Alaska, Mexico’s Sea of Cortés, Hawaiian Islands and Coastal Washington and British Columbia. Inclusive fares start at US$2,495 per person and vary by destination and yacht. History is brought to life on board and ashore on an inclusive Heritage Adventure cruise with crew in period costumes, character reenactments and shore tours to points of historical interest. Guests sailing aboard the newly-refurbished 88-guest S.S. Legacy, a replica coastal steamer, step back in time to the 1890’s on adventures along the Columbia and Snake Rivers or Southeast Alaska. Weeklong inclusive fares start at US$3,195 per person on the Rivers cruise and US$5,195 per person in Alaska. Tours designed to complement the lively historic portrayals on board are included in both destinations. Zegrahm Expeditions is offering two cruises to Iceland and the Arctic in 2014 on the 100-passenger, all-suite Island Sky. Departing on June 13, the 14-day “Circumnavigation of Iceland” will explore Iceland’s Golden Circle, Thingvellir National Park, Gullfoss Waterfall and the Geysir Center. It will include a snowmobile ride across Vatnajokull, Europe’s largest glacier. 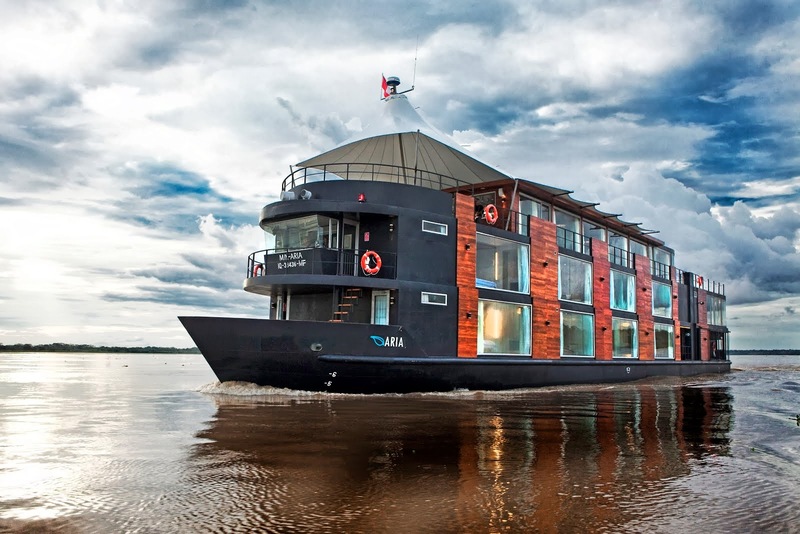 This expedition is priced from $10,970 per person. The 20-day “Across the Arctic Circle: Iceland & Svalbard,” will depart June 24 and spend six days exploring Iceland before venturing up to Svalbard, crossing the Arctic Circle en route. Travelers will search for Svalbard’s polar bears, visit research and whaling stations, and view kittiwakes and puffins. This expedition is priced from $13,970 per person. Beginning in Kangerlussuaq, Greenland, cruise the Sisimuit Coast and Ilulissat Icefiord before crossing Davis Strait to Nunavut. Visit the culturally rich community of Pond Inlet, vast Devon Island with its concentrations of seabirds and marine mammals, the Franklin Expedition graves at Beechey Island, and Prince Leopold Island Migratory Bird Sanctuary, home to a quarter-million nesting birds. Taloyoak, Bathurst Inlet, Queen Maud Sound and Coronation Gulf all beckon the adventurer, along the routes of the legendary Arctic explorers. Icebergs, whales, seabirds, polar bears and musk ox are just a few of the marvels to be witnessed. Journey beneath the midnight sun in a land seldom seen. Travel with actor Lamech Kadloo, author Noah Richler, musician Barney Bentall, documentarian John Houston & marine biologist Ree Brennin (just married!). Deepen your Arctic experience with botanist Carolyn Mallory and biologist Mark Mallory, naturalist Bill Freedman, filmmaker/glaciologist Greg Coyes, culturalist Lynda Brown, archeologist Lisa Rankin and polar adventurer Chris Dolder. Join members and supporters of The Walrus Foundation and Nature Conservancy of Canada among a veritable who’s who of modern-day Arctic explorers. Please join us in our twenty-fifth season, celebrating twenty years of Canada’s newest territory with this remarkable journey through the heart of Nunavut. We have just released Category 4 and 5 berths aboard the Sea Adventurer for Into the Northwest Passage, August 6 to 20th, 2013. Twenty years ago today (9 Jul 2013), Parliament passed the Nunavut Act, setting the stage for the creation of Nunavut Territory, which formally came into being April 1, 1999. Captain Cook Cruises Tall Ship, RaMarama is back at Port Denarau Marina Fiji and has resumed her Tivua Island Day Cruise run after undergoing seven months of repairs. The much loved RaMarama now has new sails, masts and rigging, and her decks are once again filled with song and laughter as she transports passengers to and from Tivua Island as part of the Day Cruise. "We are so happy that RaMarama is back in operation. She just adds another dimension to the Tivua Island Day cruise and passengers just love the experience of sailing aboard this majestic tall ship. Says Jackie Charlton, General Manager, Captain Cook Cruises Fiji. The day cruise is the perfect cultural escape from any Fijian resort and the adventure begins as soon as passengers set sail on Ra Marama for the tiny island of Tivua. Tivua is a small Coral Atoll in the northern part of the Mamanucas, surrounded by a white sandy beach and extensive lagoon. The exciting journey over includes morning tea and some live Fijian tunes and dancing, while passengers take in the breathtaking views of the Yasawas. At Tivua, guests spend the day snorkelling the magnificent reefs on a guided snorkelling tour, go glass bottom boating, kayak around the island, play some volleyball or for those who prefer to relax they just lay on the beach under a hut, take a leisurely swim or indulge in a spa treatment from Senikai Spa. A delicious tropical buffet lunch including beer, wine and soft drinks is included and all guests can partake in a traditional kava ceremony. The fun continues on the cruise back to Denarau on-board RaMarama where passengers can take part in a coconut husking demonstration, basket weaving, enjoy afternoon tea and more music and entertainment. The Island Day Cruise departs daily from Denarau Marina at 10.00am and returns at 5.00pm. Adults are FJ$165.00 and children (3-15 yrs) are FJ$109.00. Prices include all activities, lunch and beverages. 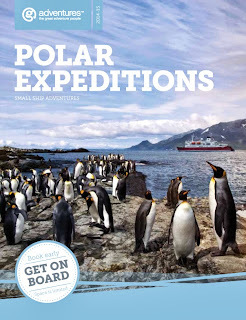 Join Active Travel and One Ocean Expeditions for a voyage to Antarctica and one of life's great adventures. This extraordinary and remote southern land, sheathed in layers of ancient ice, has long fascinated the world's great explorers and scientists, and for those lucky enough to experience it first-hand, an Antarctic expedition is a remarkable journey that stays with you for the rest of your life. Active Travel is the Australian agent for One Ocean Expeditions, an industry leader and one of the most innovative polar expedition companies in the world. Expeditions operate during the Antarctic summer, a time of great activity with seabirds swooping through the skies, whales feeding on vast schools of krill and busybody penguins rearing their young. As much time as possible is spent off the ship - exploring in zodiac inflatable boats, going ashore for walks, visiting historic sites, scientific bases and wildlife colonies. The towering icebergs, in all shades of blue, will take your breath away. Longer expeditions take you further a field, below the Antarctic Circle, and on to South Georgia and the Falkland Islands. These remote island groups are home to some extraordinary wildlife - beaches covered in King Penguins, Elephant and fur seal, and a profusion of sea birds in all shapes and sizes. There are several new voyages in 2013 – including a wonderful new Christmas trip which is easily combined with South America touring. Due to popular demand, there are more 12 night voyages below the Antarctic Circle. The ground-breaking ‘Active Antarctica’ voyage returns, for the skiers, hikers, kayakers and activity buffs. What makes Active Travel Different? Active Travel's voyages have the most experienced team of leaders in the business including Australian Polar Medal recipient, Ray McMahon, and Andrew Prossin - a veteran of Antarctic and Arctic waters, having led over 150 expeditions south. The two expedition ships, the Akademik Ioffe and sister-ship Akademik Sergey Vavilov, are modern and stable vessels – both well known in the Australian market - with an outstanding track record in polar exploration and navigation in Antarctica and the High Arctic. Equipped to take 115 guests, limited to just 95 per voyage. Expeditions include well-presented lectures, an exciting range of activities, great staff and hearty meals prepared by a team of chefs. A deep respect for the great southern land guides our attitude towards environmental protection. The team includes renowned wildlife conservationists, who have been instrumental in mobilising some of the world's most notable organisations to better protect Antarctica. 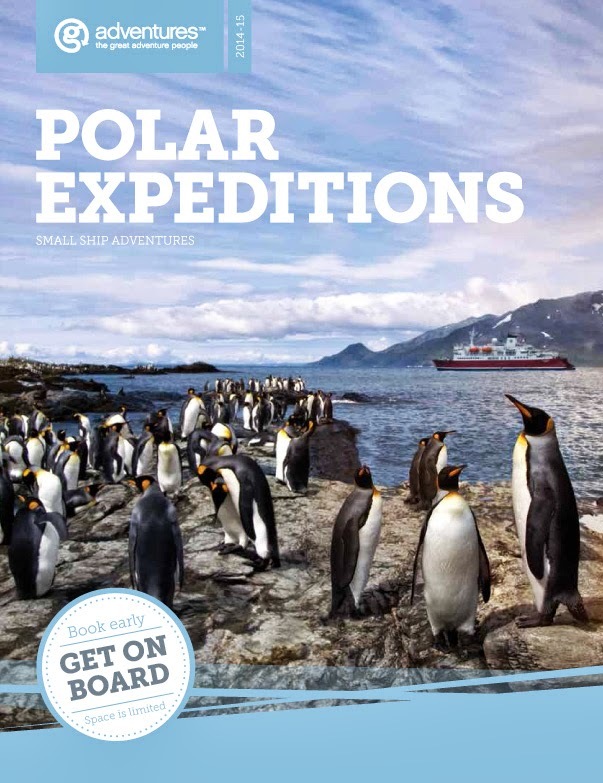 This brochure offers 21 outstanding expeditions in the Summer of 2013, starting in November and ending March 2014 - as well as a selection of South America travel options to add to your holiday. You can also find details of the High Arctic Expedition series in 2013 – featuring Greenland, Nova Scotia and Newfoundland, Baffin Island and the North-West Passage, plus Spitsbergen. South America and Antarctica have some amazing cruise offers. Antarctica XXI are offering a $1500 USD air credit on their 07 December 2013 Classic Antarctica 7 day, 6 night departure ex Punta Arenas. Compagnie du Ponant is planning a new luxury vessel expected to sail in local waters in 2015-16. AFTER years of hinting about it, the French cruise line appears to have finally committed to a summer season down under. According to the Fincantieri shipyard, Ponant has signed the contract to build a 264-passenger sister ship to Le Soleal, which debuted last month. In a news release issued overnight, Fincantieri said the 11,000 GRT small ship will cruise in Alaska during its summer season and then in Australia and New Zealand. Ponant has previously included ports in Queensland and Northern Territory on a handful of itineraries, but this would be the first season based in the region. The unnamed luxury ship is set to have 132 oceanview cabins and suites, and 95% with a balcony. Ponant is renowned for its sophisticated design, attentive service and fine dining, with destinations including smaller ports in destinations such as the Arctic, Antarctica, Europe, Asia and the Americas. More details about the local program will be revealed soon. Fincantieri CEO Giuseppe Bono said the new order and continuing relationship with Ponant indicated that luxury cruising was a “very promising business segment”. “This encouraging achievement, coming shortly after other new orders, has been realised in a still difficult market and has been possible also thanks to the greater cohesion achieved within the company that bodes well for the necessary improvement in efficiency and competitiveness,” he said. Do you use that cool content curation tool, Flipboard? Well, we do. Why not try it out. If nothing else, it's great fun. A contract with Compagnie du Ponant has been signed to build a twin to the recently introduced Le Soleal. Delivery is scheduled for spring 2015 with the order goes to the Ancona shipyard. 'This new order marks a firm consolidation of our relationship with this prestigious cruise operator and allows us to secure a strong foothold globally in a very promising business segment,' said Fincantieri ceo Giuseppe Bono. The ship is fourth in a 142m series that began with Le Boreál in May 2010 and L'Austral in April 2011. Le Soléal was handed over in June this year. G Adventures, the leading small-group adventure travel tour operator, is offering travellers the opportunity to experience the wonders of Antarctica with a 15% discount on selected itineraries. The promotion coincides with the upcoming launch of G Adventures' 2014/15 Expedition brochure, which is being released this week. Pete Rawley, Head Honcho of G Adventures Australia / NZ, "We are incredibly fortunate to have had fantastic local support for our polar programmes from the Australian travel industry over the past few years". "Australia is now G Adventures largest source market for travellers to Antarctica worldwide, and we are looking forward to taking even more Australians to this unique part of the world next season." For more information follow the links, or call G Adventures on 1300 796 618 and quote promo code G14EBBANTARCTIC15. Quark Expeditions will operate 33 voyages to Antarctica during the 2014-15 season, which starts Nov. 5, 2014, including two extended trips. The 25-day “Antarctica’s Scotia Arc: The Ultimate Insider’s Voyage” will follow the Scotia Arc, a sub-marine mountain range extending from the southernmost Andes, to the Antarctic Peninsula, calling at the Falklands and South Georgia before heading south to the lesser-known South Sandwich, South Orkney and South Shetland archipelagos. This voyage will depart on Dec. 15, 2014, and is priced from $19,595. The company will operate two departures of the 23-day “Crossing the Circle via Falklands and South Georgia: Epic Antarctica” voyage, which sold out for the 2013-14 season. This trip goes to South Georgia, the Falkland Islands, and the Antarctic Peninsula farther south across the Antarctic Circle. Departures are scheduled for December 2014 and January 2015, with fares starting at $18,995. Quark will operate the Antarctic voyages with the Ocean Diamond, which operates “Carbon Neutral Voyages,” and the luxury all-suite Sea Spirit and Sea Adventurer. All Quark ships feature outside cabins with en-suite facilities, Internet access, a boutique, and a library. Travelers who book by Sept. 30, 2013, will receive a 20 percent discount on suites and 10 per cent off other cabin categories. All bookings made during July 2013 will receive an additional 5 per cent off. Tui Tai Expeditions is happy to present a massive discount for upcoming trips. The prices below are over 40% off normal rates. Give your clients an amazing gift at a super-special discount. Did you know that, with these specials, Tui Tai is the lowest price cruise option in Fiji? Did you also know that, with these specials, Tui Tai is the lowest price scuba dive liveaboard in Fiji? Travel from 1-July-13 to 15-December-13. SEADREAM Yacht Club is coming to Asia and Cairns later this year and in early 2014 with their SeaDream II – giving Australians the first opportunity ever to sail aboard the world's Number One boutique mega motor-cruiser without the need to travel half-way around the world to the Mediterranean or Caribbean to do so. And prices will begin from as low as US$3654pp twin-share for a 7-night sailing from Singapore to Phuket and back to Singapore on January 4 next year, visiting Pangkor, Tarutao, Phuket, A Dang Island, Penang and Malacca. All 5-star dining, select premium brands from the open bars and at nightly pre-dinner cocktails as well as wines with meals, use of a 30-course golf simulator, fitness centre, gratuities and port charges and taxes, are included in prices of all sailings. For full itineraries in Asia between October this year and April 2014, see travel agents or visit www.seadream.com. The 56-stateroom SeaDream II that carries a maximum 112 guests served by 95 crew, will sail 15 days from Athens to Mumbai on October 12 this year, and on arrival there will to sail twenty-two voyages over five months to some of the largest and most popular ports in South East Asia, and conversely many smaller ones that larger cruise ships cannot access, in India, Singapore, Thailand, Myanmar (Burma,) Malaysia, Sri Lanka, the Andaman Islands, Cambodia, Vietnam, Hong Kong, China and Indonesia. 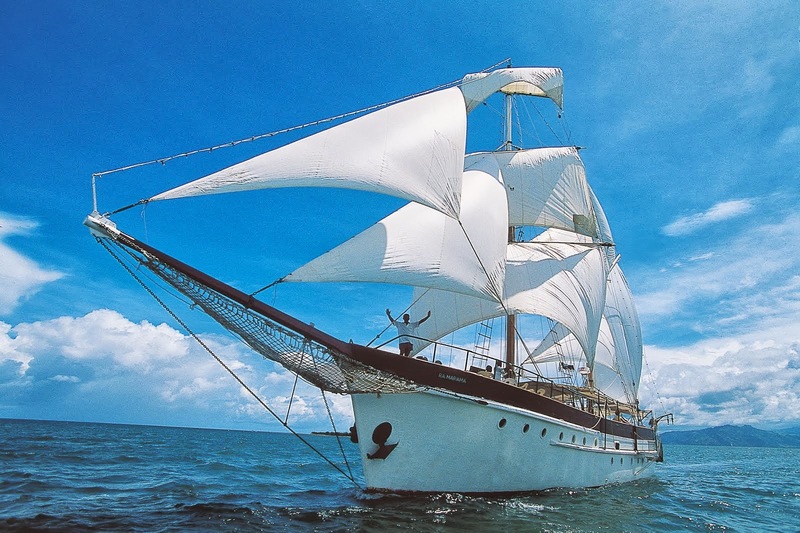 And on January 18 2014 she'll sail 14 days from Bali to Cairns by way of four ports in Indonesia, plus East Timor, Darwin, Seven Spirit Bay, Cape York, Lizard and Low Islands, and Port Douglas. She'll sail back to Bali from Cairns on February 1 2014, visiting New Guinea's Milne Bay, the Trobriand and Tami Islands, the Sepik River, Jayapura in Indonesian Papua, Sulawesi, and the Komodo and Satonda Islands. AECO (Association of Arctic Expedition Cruise Operators) introduces 11 new site-specific guidelines for selected sites in Svalbard. It is primarily localities in Eastern Svalbard that are subject to special regulations in regard to landing-operations from cruise vessels. AECO, which is an international association for expedition cruise operators in the Arctic, has received NOK 900.000 in funding from Svalbard Environmental Protection Fund to develop the site specific guidelines. With the latest 11 guidelines altogether 20 site specific guidelines for Svalbard has been published. AECO-members have committed themselves to use these guidelines in connection with landings of passengers at the sites. The guidelines contain general information about the specific site, including information about possible cultural remains. A map of the site gives a clear visual idea of the area and marks out potential vulnerable places. Every site guideline contains a list of considerations that should be taken when visiting the site. In addition the guidelines have photos- illustrations and general advice on how to get a good experience. "Use of site specific guidelines is a way to regulate behavior in order to minimize the risk of negative impact on the places visited", says Frigg Jørgensen, AECO's Executive Director. "We are very glad and thankful for the funding from the Svalbard Environmental Protection Fund which together with the cooperation with researchers and specialists, have enabled us to developed guidelines for so many places in Svalbard." Many of the sites are not only visited by AECO-members, although a majority of the visitors that come to these places, come onboard a cruise vessel operated by one of AECO's members. AECO does, however, encourage everybody who visits these sites to make use of the guidelines, available from: www.aeco.no/guidelines/. Here an overview of all AECO's site specific guidelines can be found, including general guidelines for considerate behavior in the Arctic and Arctic wildlife guidelines. The work with the guidelines has been organized in a project group, consisting of experts within biology, botany, archeology, cultural remains, navigation and tourism. One of the project partners has been NINA (the Norwegian Institute of Nature Research), which have contributed with a vulnerability-impact-model, that has been used at the sites. Association of Arctic Expedition Cruise Operators (AECO) is an organization for expedition cruise operators dedicated to manage respectable, environmentally-friendly and safe expedition cruises in the Arctic. The 30 international members operate approximately 25 vessels all over the Arctic. AECO represents almost all of the expedition cruse operators in Svalbard. Every year 12.000 guests choose to see Svalbard from an expedition cruise vessel. 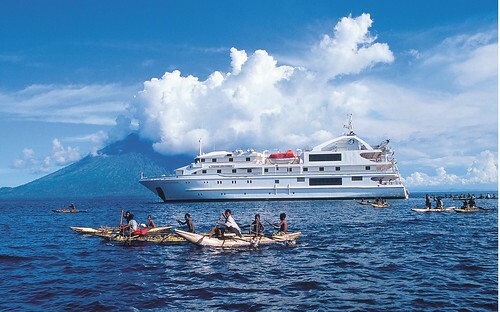 Un-Cruise Adventures’ 36-guest yacht Safari Explorer will operate a new one-way Hawaii itinerary from November to April. The new itinerary sails between Molokai — a new destination — and Hawaii, the Big Island and also explores Lanai and Maui. Among the activities on Molokai is a visit to the Halawa Valley for a hike to a waterfall, learning the traditions of an ancient taro patch and a visit to a nearby beach. In the evening, an authentic feast at the Molokai Museum and Cultural Center features fresh fish, poi, seaweed, Molokai sweet potatoes and other staples of the Hawaiian diet. Local musicians join in the celebration along with a kumu hula dancer. Travelers booked by Aug. 2 for travel November through April receive a $700 per couple travel credit. Rates for the weeklong Hawaii cruise start at $3,595 per person, double occupancy, and include premium spirits, fine wines and microbrews, meals featuring Hawaiian flavors, massage, yoga, small-group guided tours, from-yacht activities and equipment, whale and dolphin encounters, transfers, lei greeting, and port charges and taxes. I've just discovered this excellent photobook produced by guests aboard Lindblad's 2012 West Africa Odyssey. "In spring 2012, 148 guests embarked on a sweeping journey up the coast of West Africa, beginning in Cape Town and landing in 16 countries before saying their goodbyes to one another in Marrakesh. Before the trip ended they would each fill an entire passport with visas, be greeted by national press in Liberia, and pass among deserts, tropical islands, and cities that pulse with life. And nearly everywhere they stopped, they would be greeted by the people."